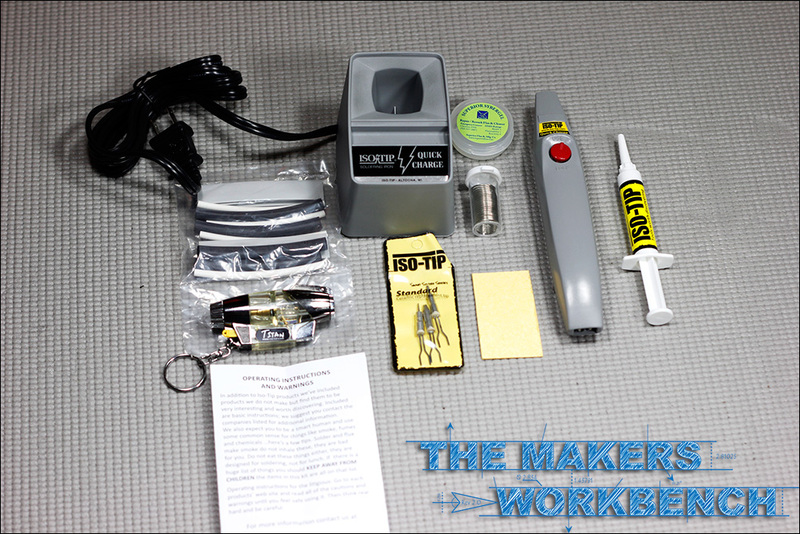 ISO-Tip sends their love in the form of their latest portable soldering iron kit. Hack A Day posted an article about making sure your data was backed up and used our home / workshop fire as an example on how to do things right. We lost no important code because our data is backed up in the cloud. After that post we got many emails offering condolences and well wishes on starting over. A few people donated money, some donated tools, and some companies stepped up and offered to send us some amazing hardware. ISO-TIP was the first of those companies to contact us. They emailed us and asked if we could make use of a portable soldering iron. Being Iron-less we replied with a resounding YES! 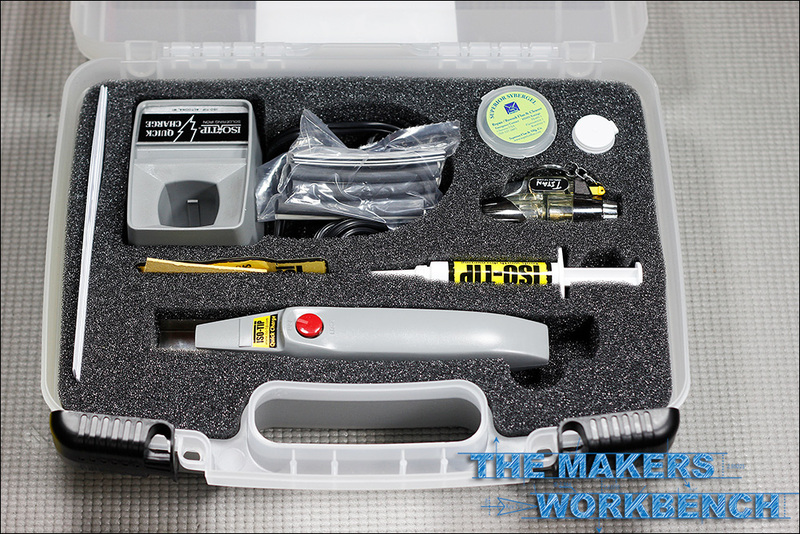 The 7710 Soldering kit from ISO-TIP is brand new and has only been on the market for a few weeks. We actually have one of the first kits that ever existed. We have been using the iron for a few weeks now and all I will say for now is that it is AWESOME! The full details will have to wait for the full review which will be posted sometime in the next few days. Hard Shell Case to carry it all in. Keep an eye out for the full review! We shot some footage of the iron in action and I think that everyone will be quite impressed at the heat up time as well as the performance of their tips. If you would like to purchase this kit, consider purchasing it from our friends at ISO-TIP for $99.